The poker industry continues to grow around the world (primarily fueled by poker online operators) but it continues to face headwinds in various areas. Government regulation continues to be a major factor in many markets, as does consolidation among some operators– including the planned merger of bwin and PartyGaming — as they try to scale up to challenge dominant players such as PokerStars and Full Tilt. The effects of the US UIGEA legislation on the global poker industry are major. Despite hopes that the Reid poker bill and other legislation might pave the way for regulation of online poker in the US market the situation remains largely unchanged since the UIGEA was passed in 2006. 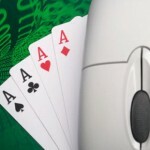 While some operators continue to serve the lucrative US market, the majority have had to look for growth elsewhere in other regions of the world, unwilling to risk the wrath of US law enforcement agencies or to possibly jeopardize re-entry to the US market in the future if online poker is regulated and legalized. Government regulation and taxation of online gaming is a growing trend, as more and more countries seek to emulate the path that Italy and France have taken, as far as not just regulating and taxing online gaming but restricting play to only citizens of those countries on regulated gaming sites. Whether or not this proves to facilitate long-term growth remains to be seen; the reality is that the lure of increased tax dollars and greater control over regulation and licensing has other countries contemplating implementing similar systems. 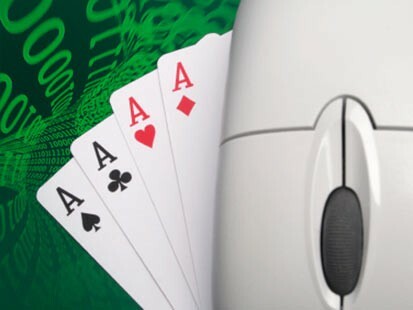 Despite these and other difficulties, Internet poker sites have continued to grow, albeit at a much-reduced pace as compared to grown from 2000-2006 prior to the UIGEA being passed. Much of that growth has come from Europe, with growth coming from areas including Greece, Hungary, Italy, France, and Spain. While Asia continues to hold much promise the reality is that it has been more difficult than expected to tap into that potential, with actual new player acquisitions lagging many of the expectations and forecasts. As far as bright spots and potential future growth areas, mobile gaming remains one of the brightest, and poised to be a major revenue source once issues regarding security and regulation are settled. Smartphones and tablet devices continue to explode in popularity and are the perfect platform for mobile poker; the biggest impediment to growth is currently the reluctance of Apple and some other companies to support the distribution of gambling apps as well as hesitation on the part of online operators due to security concerns. As the poker industry begins to mature, so too do some of the related services such as gaming consultancies and B2B divisions and arms of online firms that help third-party clients launch their own online gaming operations. Pressure to increase profit margins and expand revenues have also led many companies to re-examine their CRM operations, rake models, and affiliate programs, with much more focus placed on acquiring and retaining profitable players as opposed to simply picking up new customers at any cost.